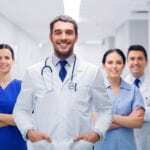 While there are many reasons to pursue a Master of Science in Nursing (MSN), the primary motive for getting the degree is to become an advanced practice registered nurse (APRN). MSN graduates can apply for licensure as an APRN in Tennessee after passing a national certification exam related to their specialty. Apart from APRN preparation, the MSN may also provide advanced training in specialty care, such as mental health, pediatrics, administration, research, and education. There’s mounting pressure upon nurses to ensure patient safety, patient satisfaction, and quality care in the workplace. The MSN provides the training nurses need to take health promotion, holistic care, and disease prevention to the next level. Nursing professionals must work with members of the interdisciplinary team to improve patient outcomes and standards of care. Through the MSN program, nurses will acquire the expertise to improve and maintain the standard of care at the advanced practice level, especially as standards are constantly evolving to reflect best practices to improve patient safety. Though there’s a great demand for nurses at all levels, employers are not seeking to fill vacancies at the risk of compromising quality. More nurses are heeding the Institute of Medicine’s call for 80 percent of registered nurses to hold a baccalaureate degree by 2020. As greater numbers of nurses get the Bachelor of Science in Nursing (BSN), it becomes easier for many nurses to progress to the MSN. Nurses who are passionate about learning are better able to meet the challenges of leadership, community and public healthcare delivery, research, and health care policy. 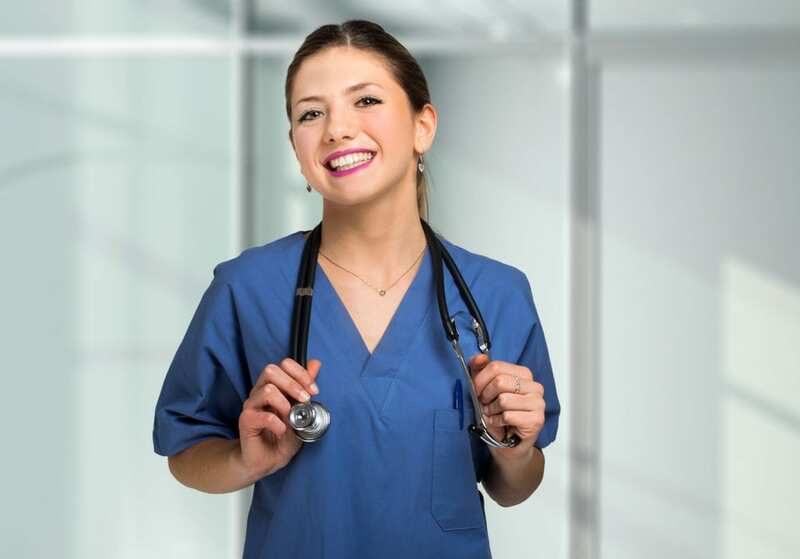 As a nurse with experience under your belt, you can use the specialized training offered in the MSN to prepare for advanced positions and take your career to the next level. Consider your degree options and the best ways you can improve the quality of care you deliver. There are several focus areas to choose from, including nurse practitioner, nurse educator, and clinical nurse leader positions. At the conclusion of a program that prepares for advanced practice, you will become eligible to sit for a national certification exam related to your specialty. If teaching is more up your alley, the nurse educator MSN will prepare you to share your expertise with up and coming nurses. After graduation, you can assume teaching positions in hospitals, universities, healthcare organizations, and community colleges. Nursing programs have been turning away hundreds of candidates each year due to a shortage of nurse educators. Increasing the number of nurse educators will help to stem the shortage of nurses. The MSN is designed for nurses who have completed a bachelor’s degree in nursing. However, the degree is accessible even with an Associate Degree in Nursing (ADN). The RN to MSN option is bridge program that will let you take graduate courses within the BSN, so you’ll get the degree in less time that it would take to complete the BSN and MSN separately. Going back to school is always a challenge, especially if you’re working online. Fortunately, the online MSN is designed to meet the needs of working nurses. The entire format of the program is designed to meet your educational needs without compromising your existing commitments. By tailoring your coursework to fit your needs, you can eradicate the challenges that stand in the way of your career goals. Online MSN programs are also beneficial to nurses living in rural areas, allowing them to receive a high-quality education without the commute to city campuses. The MSN provides an opportunity for nurses to prepare for advanced practice roles in clinical practice, a nursing specialty or educator role, a leadership role, better job prospects and salaries, and greater autonomy than traditional RNs. Graduates may work as administrators, leaders, educators, researchers, clinical nurse leaders, nurse practitioners, and other positions where they make critical decisions, develop and implement policy, and lead innovation. While APNs in Tennessee do not have full practice authority as other states, they do have greater autonomy in practice than registered nurses. The MSN affords students the opportunity to specialize in an advanced nursing focus. This means you can choose an advanced practice role and patient population that you are passionate about to acquire the expertise through specialized academic and clinical training. There are options to work with patients in a clinical capacity, such as clinical nurse specialist, pediatric primary care nurse practitioner, or certified nurse midwife. If you prefer a more administrative role, you can choose degree foci such as public health nursing, nurse educator, nursing informatics, clinical nurse leader, nursing executive, and other indirect care concentrations. If you go the way of a clinical concentration, the curriculum will require completion of a specified number of clinical practice hours in addition to the academics. The total hours will depend on the university and the specialty, but will typically require participation in 500 to 100 hours of practice under a preceptor’s supervision. Some specialties require more practice than others. Clinical requirements are mandatory for national certification in an advanced nursing specialty. Some indirect care concentrations may require completion of a clinical practicum, but it will be much shorter than the preparation for clinical practice. Students preparing for clinical positions will obtain valuable experience and exposure to real-world experiences in their new capacities as clinical leaders. Under the watchful eye of an expert, they will come into contact with patient populations and practice advanced concepts to develop confidence, apply theoretical principles, and obtain valuable experience that they can add to their resume. Though there’s been a push to make the Doctor of Nursing Practice (DNP) the standard for advanced practice, especially for nurse practitioners, the effort has not been realized as of 2018. If you obtain and begin practicing on the merits of an MSN, you may be grandfathered in when the changes arrive. As of now, the MSN is the fastest way to prepare for advanced practice. RN to MSN: Registered nurses holding an associate’s degree in nursing can enroll in the RN to MSN to positively influence the health and well being of patients and populations. The knowledge and skills gained in the program will help them to lead change in the healthcare industry in such as way as to improve the lives of consumers, patients, and populations. Through the bridge program, they will go from the RN to MSN in two to three years. The program will contain an undergraduate and graduate courses, but students will commence graduate level courses from the onset. Candidates for this program must have an associate’s degree or diploma in nursing and a valid license to practice as a registered nurse. Direct Entry MSN: The direct-entry MSN curriculum supports registered nurses in their quest to better analyze and respond to nursing programs, take up specialist, leadership, or administrative roles, and provide expert, cost-effective, and ethical nursing care. The direct-entry route admits nurses who have completed a bachelor’s degree in nursing and sets the foundation for additional education. The theory, practical, research, and professional development covered in the program will prepare students for doctoral study. Post-Master’s Certificate: Nurses holding a master’s degree can enroll in the post-master’s certificate program to prepare for another clinical role. Through theory and approximately 300 hours of clinical practice, graduates will be prepared for success on a national certification exam. Be eligible to practice as a registered nurse in Tennessee. Nursing programs are expensive. Since they are especially costly when you get to graduate-level study, you can expect the MSN program to cost more than your registered nursing education. The good news is that there’s an increasing need for advanced professional nurses and specialized services, which leads to considerable opportunities for APNs. The projected job growth for nurse practitioners, nurse midwives, and nurse anesthetists is projected to increase 31 percent through 2026, according to the Bureau of Labor Statistics. In addition to more employment opportunities, APNs have the potential to earn six-figure salaries. For instance, nurse practitioners earned a median annual wage of $110.930 in 2017. Registered nurses earned a median annual wage of $70,000 that same year. Thus, advanced practice will provide a substantial increase in salary. At a tuition rate of $498 per credit hour at state universities in Tennessee, you can be confident that the MSN tuition will more than pay for itself. Tennessee State defines an Advanced Practice as a licensed registered nurse who has completed a master’s degree or higher in a nursing specialty and holds national certification as a nurse practitioner, nurse anesthetist, nurse midwife, or clinical nurse specialist – the four APN categories recognized by the state. Nurse practitioners must have a Certificate of Fitness to prescribe and issue legend drugs. Nurses who prescribe or issue drugs without proper certification by the Tennessee Board of Nursing will be subject to disciplinary actions. Applications for initial licensure can now be submitted online. You can use the online portal to apply for an initial license and update your practitioner profile, which is mandatory for APNs. Along with the application, you’ll need to upload the required documents to complete the application. The application fee must be paid online using a credit card, debit card, or e-check. Visit the online portal and register for an online account before submitting your application. Sign-in and submit your initial application for APN licensure. Use a computer not a tablet or phone. Request verification of your national certification from the certifying body to be sent directly to the Board of Nursing. You should obtain national certification before you apply. Certifying bodies include ANCC, AANP, AACN, NBCRNA, PNCB, AMCB, and NCC. Request official transcript from the nursing program to be sent directly to the Board of Nursing. The transcript must indicate an advanced nursing degree – MSN, Post-Masters, Ph.D. Requests for the transcript should be made after the registrar posts the degree and date. Add your other names if you have been known by any other names. Declare your citizenship. Your declaration must be notarized. Upload proof of citizenship such as a valid driver’s license. Upload a letter of explanation and certified copies of arresting document, judgment, or completion of judgment if you provide a positive answer to the criminal history questions. Complete the Mandatory Practitioner Profile Questionnaire and update as needed. Submit the payment of $210 using a valid credit card, debit card, or e-check. The processing time for the application is typically 6 weeks. Maintain Drug Enforcement Administration Certificate to Prescribe Controlled Substances. The certificate must be kept at the place of practice to be inspected by a member of the Board or its representative. Nurses who receive a certificate of fitness must update the information submitted within 30 days of the change. The APN certificate must be renewed separately from the RN license renewal. Renewals must be submitted online and can be requested up to 120 days before the certificate expires. The APN renewal fee is $110. Candidates for renewal must maintain national certification to renew their licenses – evidence of certification must be presented. During the renewal, licensees can also update their address if it has been changed. Certificates that are not renewed on time will expire. To reinstate a license, you must contact the Board of Nursing to request an application for reinstatement and pay a reinstatement fee in addition to the renewal fee of $100.